So far I'm off to a good start for November - I've pledged to post every day this month! This along with doing 50,00 words for NaNoWriMo... am I insane? 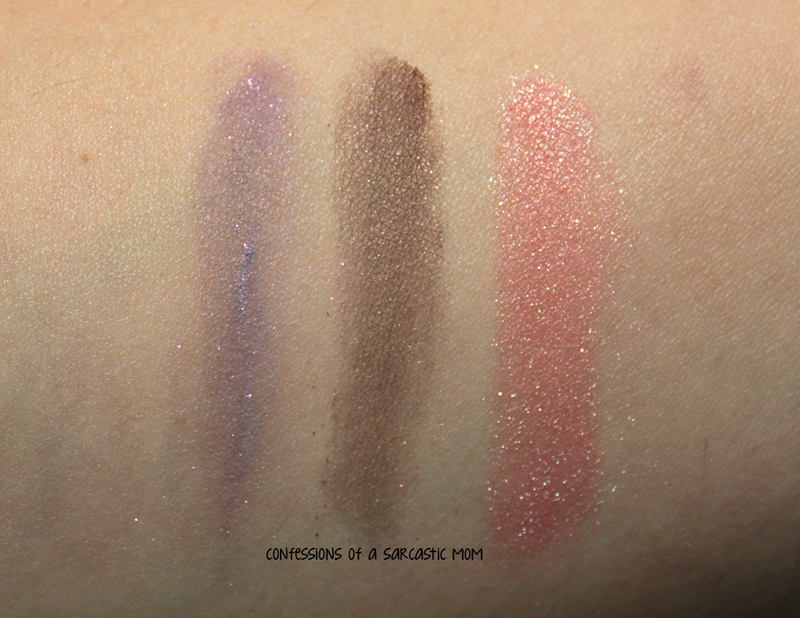 Today's post features a few things from BFTE Cosmetics, a great indie cosmetics company! Kimberly donated to my annual End It Movement Awareness giveaway, and she included these samples for me! My goodies included samples baggies of shadows Heartbreaker and Pinecone, and a pot of a limited edition Valentine's Day shade, XXOO. I know a lot of people have issues with loose shadows. I use them a lot, as I just clean up a little around my eye when I'm finished. Maybe it's because I don't put a lot of different shades on my lids, so it's easier for me? Not sure... but I have never had a huge issue with loose pigments. 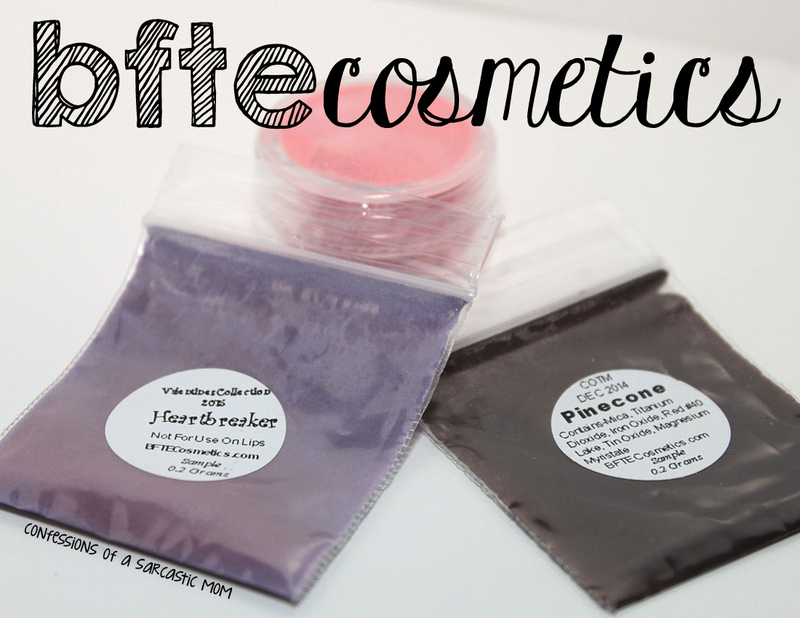 But, for those who prefer pressed palettes, check out this tutorial on how to press loose pigments into palettes! Do you have anything from BFTE Cosmetics? From these samples, I know I need more! There are a couple sets that I wish I had jumped on when they were available! Like the Amityville Horror Collection and The Shining Collection!